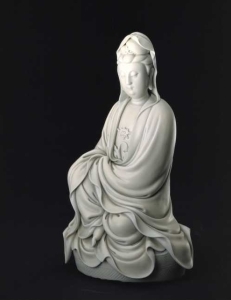 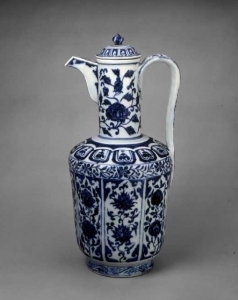 The imperial porcelain factory was established at Jingdezhen (景德鎮) at the beginning of the Ming Dynasty (1368-1644), and from this time the position of Jingdezhen as the center of porcelain production became consolidated. 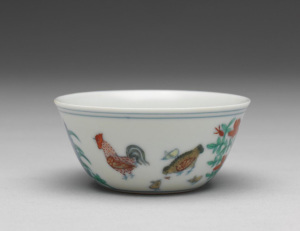 The imperial wares that were specially manufactured for use at court were made particularly exquisitely and were marked with the reign mark of the emperor himself. 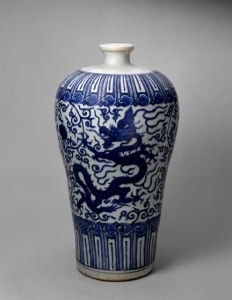 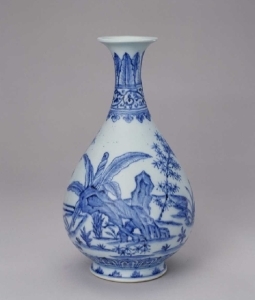 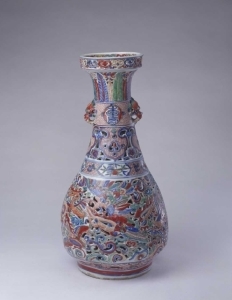 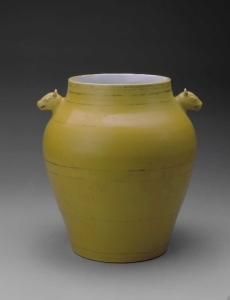 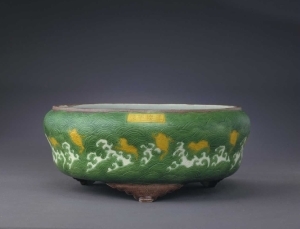 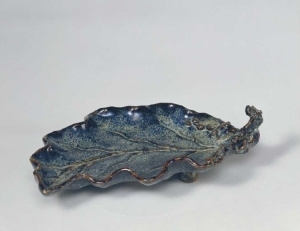 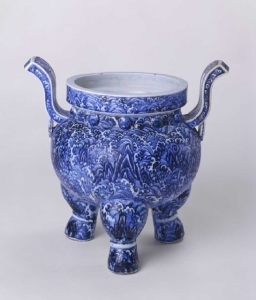 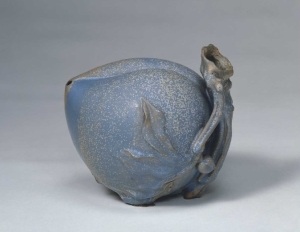 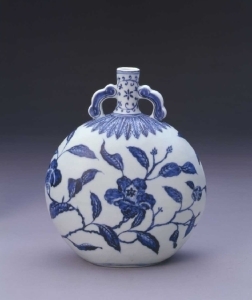 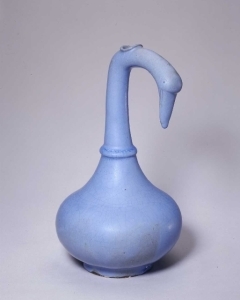 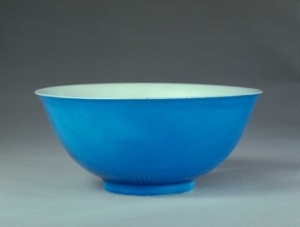 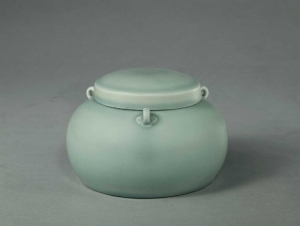 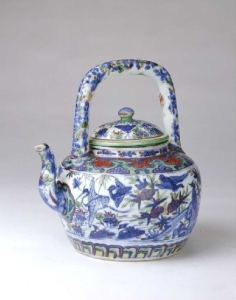 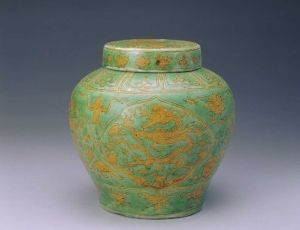 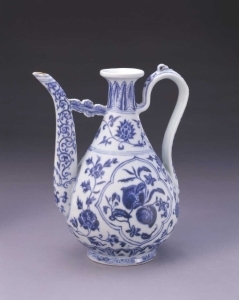 In addition to the monochromes and the underglaze blue porcelains that continued to be produced among the official wares of the Ming Dynasty, innovations appeared throughout the period, such as jihong (磯紅) in the Xuande (宣德, 1426-1436), doucai (鬥彩, contending colors) in the Chenghua (成化, 1465-1488), jiaohuang (嬌黃) in the Hongzhi (弘治, 1488-1506), and wucai (五彩, five-color) in the Wanli (萬歷, 1573-1620), all of which are representatively significant in the history of the development of Ming Dynasty porcelain. 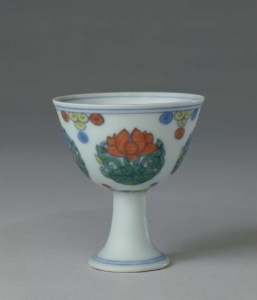 An exception to these colorful porcelains is the Dehua ware (德化窯) from Dehua of Fujian province, known in the West as “Blanc de Chine (white from China).” As the name suggests, Dehua porcelain has a pure white color, often referred to as “ivory white” or “milk white.” Many of Dehua wares depict Buddhist statues. 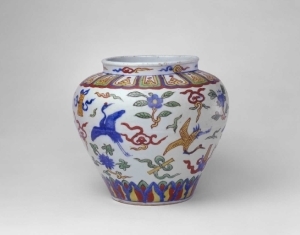 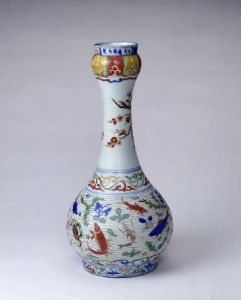 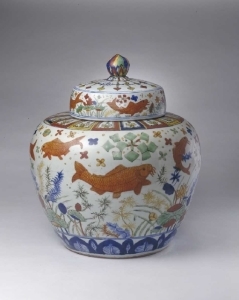 In addition to these decorative innovations, the Ming period exported porcelain around the world on an unprecedented scale. 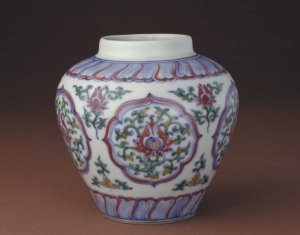 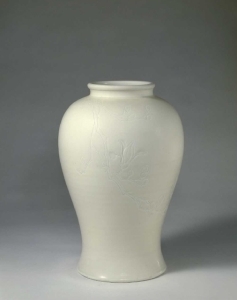 Aside from supplying porcelain for domestic use, the kilns at Jingdezhen became the main production center for large-scale porcelain exports to Europe starting with the reign of the Wanli Emperor (1573-1620). 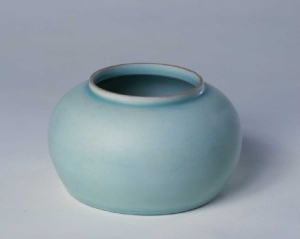 By this time kaolin and pottery stone were mixed in about equal proportions. 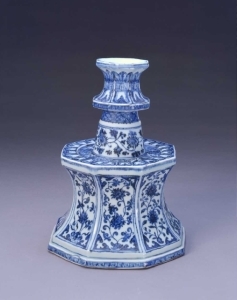 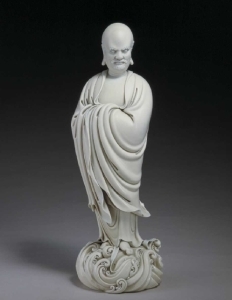 Kaolin produced wares of great strength when added to the paste; it also enhanced the whiteness of the body – a trait that became a much sought after property, especially when blue-and-white wares (青花) grew in popularity.